Competition in the smartphone market is getting hotter as major manufacturers are moving up the ladders of innovation and introducing path-breaking features. We told you in a previous report today that the Galaxy S8 will get a 4K BioBlue display, which alone shows how innovative Samsung is. Meanwhile, Apple is preparing the iPhone 7, and recent leaks and rumors indicate that the phone may not be as unexciting as we were supposing it to be. But amidst all this humdrum, Microsoft seems to have disappeared from the scene completely, and the Microsoft Surface Phone is still nowhere to be seen. 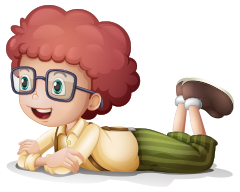 Thankfully, we have spotted some really exciting news about the smartphone today, and the information leaked is really amazing. The Chinese microblogging site Weibo, which is a regular source of major leaks and rumors, is full of new information about the Surface Phone today. According to the new details, the Surface Phone will come with the next-gen Snapdragon 830 processor, which is easy to guess as the chipset should be ready for production by the end of this year. We had reported that the device will get SD830, so it seems almost confirmed. Along with that, the Surface Phone is expected in three different variants. 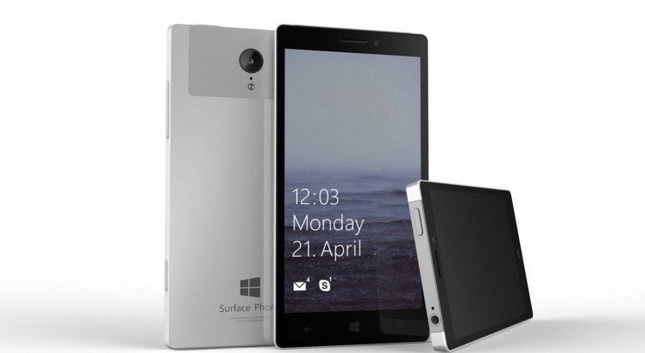 The first variant of the Surface Phone will get 3GB RAM and 32GB internal storage. The second version will come with 6GB of RAM and 128GB storage. Well that’s possible, as Samsung is already rumored to bring 6GB RAM and 256GB storage to its Galaxy Note 6, rumored to get renamed as the Galaxy Note 7. But the rumors also say that the Microsoft Surface Phone will get a third variant that will feature a mind-boggling 8GB of RAM with 500GB of internal storage! Now we don’t know how Microsoft is going to do this. Of course, 8GB of RAM is not impossible when 6GB RAM chip has already been produced. However, we doubt the rumor about the 500GB internal storage, and even though it’s not impossible, 256GB storage looks more probable and logical. Lastly, the new rumors also suggest that the Surface Phone release date will be sometime in early 2017, so we guess the phone will launch in Q1 2017. 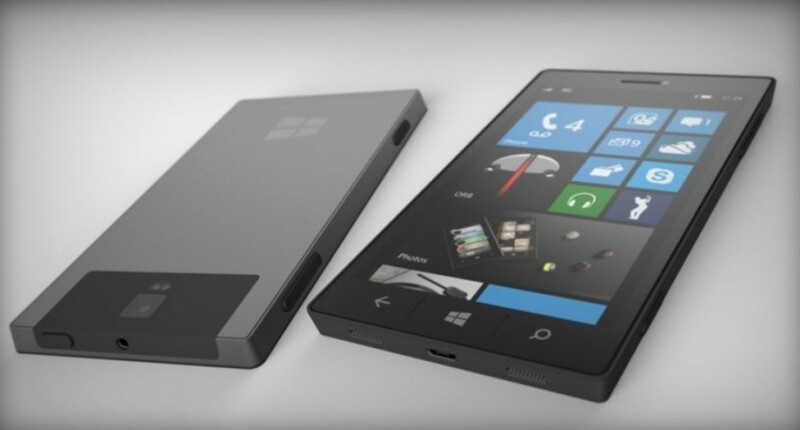 Also, the much-awaited Microsoft smartphone will be priced at around CNY 6,000, which roughly translates to $914. This price comes close to the rumored $1100 pricing that was leaked earlier. So far, all the new rumors about the chipset, pricing, and release date are going well in line with the previous leaks and rumors. So it is highly possible that these leaks are true, but we will have to wait for some more solid leaks to confirm the same. A new image, or rather, render of the Surface Phone has leaked out today along with some more details. Have a look at the pic below. 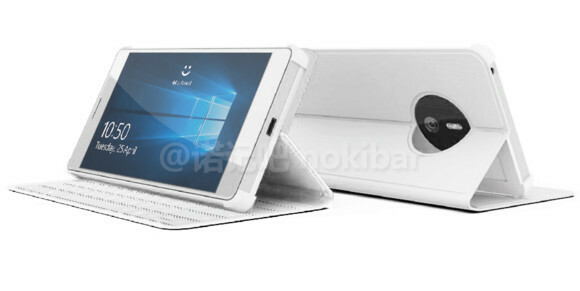 As you can see in the image below, the Surface Phone has a flip cover on it along with a built in keyboard, so it’s a keyboard case. There’s a USB Type-C port at the bottom and a headphone jack on the top. Also, the circular camera module at the back resembles the one from the Nokia Lumia 1020, suggesting that Surface Phone will be significantly based on the Lumia lineup. In the image, the whole body (possibly all-metal) looks very simple and straightforward, and some might even find it boring. It is being said that the phone will get a 20MP Carl Zeiss rear camera, but more confirmation is needed.